Let's talk tee shirts! If your like me I Love tee shirts there is nothing no worse then wearing something your not comfortable in but with FiveFingerTees there is no worries. This place literally has it all when it comes to tee shirts there shirts are not only comfortable but affordable. Each of these shirts are 100% pre-shrunk soft cotton heavy weight short sleeve shirt (they come in the classic, and crew neck style). The shirts come in a range of sizes for men and women including small, medium, large, x-large, 2XL (has an extra $2.00 charge on cost of shirt selection) and 3XL (has an extra $3.00 charge on cost of shirt selection and is only available in men’s style shirts). 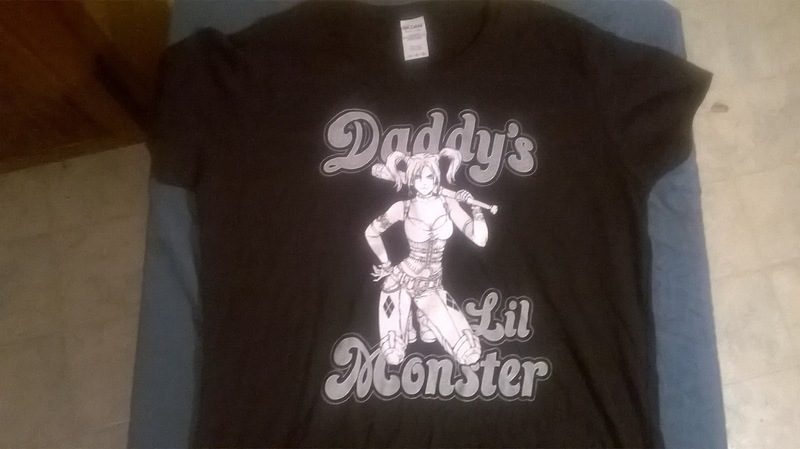 These shirts are very affordable they are only 9.99 each (Since each shirt is made when ordered, this allows a selection of colors for the shirt. There are many colors available including hunter, black, navy blue, royal blue, Carolina blue, Kelly green, red, pink, brown, purple and charcoal and each shirt lists which colors are available. 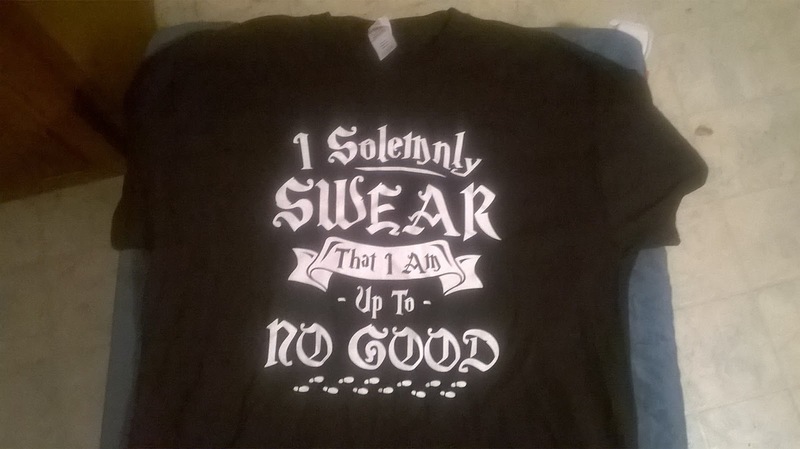 The screen printing on the shirt is clean, and had no cracks or any imperfections at all and the seams were finished with double needle stitching. 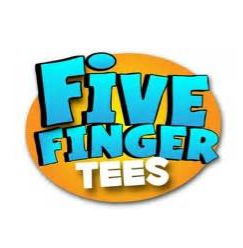 FiveFingerTees offers a huge variety of movie, television, music, animal, video game and pop-culture t-shirts to name a few. There are many other varieties available and not only do they have tee shirts they also have hoodies and for this time of year hoodies make the prefect Valentine's day gift. The company is based in Boston Massachusetts and is completely family owned and operated. FiveFingerTees does everything in-house including customer service, designing and printing the shirts, photography, shipping and website design. This is a true one-stop shop that you don't want to miss. This company has the prefect gift for that special someone for Valentine's day. There will be one person picked to win one tee shirt of there chioce make sure and entry in the giveaway below!!! I like the all about the base (no rebels) and the damn right i shot first tees.